In Iran, we are supposed to struggle for democracy and freedom of expression, if these were our ambitions. Do we have a vision to substitute them for the long-standing despotic regimes we assent to? Do we want democracy in Iran? It is not enough to say that democracy is the rule of the people for the people. We must add: if the people WANT it and WORK for it. Dictatorships, such as Velayat-e Faqih, stay in power because they are backed actively by some and unconsciously by others, while there are those who keep silent or simply do not care.Chronicles from Iran was published as an ebook. Since, we keep updating on Iranian social and political situation. We are not running a news site. We try to analyse why an old civilisation as ours is wallowing in self-pity, egotism and paradoxically in arrogance.In Iran, there is a large sector of society which is not merely duped with occasional and negligible handouts from the State. There are far too many individuals who make handsome and permanent livings out of the proceeds of despotism.Until the realities can catch up with our aspirations, the theocratic tyranny of Velayat-e Faqih will continue. The Shiite Islamic Republic is not a fortuitous creation; it is a mirror reflecting a political culture that the majority of Iranians deem acceptable. Outside Iran, to oppose the theocratic tyranny, there is only wishful thinking and propaganda from exiled Iranians. In terms of knowing about the country, the rosy and skin-deep narrations of the Iranian diaspora, unwilling to learn and think, are misleading. Whatever the approach, propagandist or rosy, it is poisonous; as are the cleric’s ideology and dogmas.To understand Iran, the accepted dichotomy, loathsome ayatollahs vs irresolute citizens, is simplistic and sterile. The former are certainly ruthless and cunning; however, the latter are compliant and, above all, apt to be self-centered, and indulgent toward the corroded social fabric.Before a democracy might be born in Iran as a political system, tolerance and dialogue should make a clean sweep of the culture of domestic despotism and violence. Haphazardly and individually denouncing the tyranny, without a collective support, is not enough. It is a faltering start.Even if our social history shows that learning lessons from our past mistakes is not our strong suit, analysing our political culture, casting doubt on the Iranian reactionary beliefs, and thus disentangling facts from lies, may be salutary. For now, we pour a drop in the ocean of resistance to the theocracy. The Revolution of 1979 led to the hatching of a backward Islam in Iran, where any high ideals of brotherhood and social justice were readily lost amid oppressive Islamic fundamentalism and politics for the few. Iran has become fragile after almost forty years of Islamic despotism. Its people are misled and denied information about important issues that affect them, but are too shackled by fear, convention and religious superstition to do anything about it. These lies have been further fuelled by the Western stand in the Middle East that left chaos in Iraq and Afghanistan in the name of democracy. This has left Iranian people suspicious of democracy and in general fear of change, particularly with the recent rise of ISIS-Daesh. 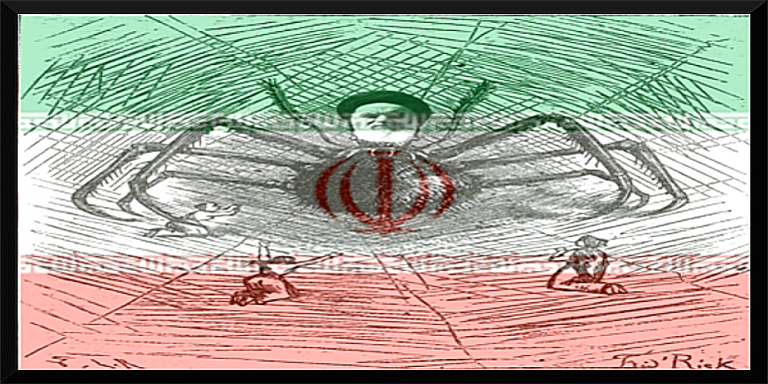 The time was right in 2009 for a new revolution, with widespread disaffection for the oppressive Islamic Republic. Ordinary Iranians were desperate to depose the ayatollahs but, with no converging ideals for what would come next, they opted for safety. After all, they might have to continue enduring tyranny but they at least still had a security that their neighbours had long lost. Blighted by enforced ignorance, fear of State repercussions and the recent history of neighbouring countries, Iranians have misconceptions about democracy and what it might mean for them. targets all of these issues and also those which are less obvious to the casual observer, such as the Islamist cliques using religion to consolidate power and the greedy sets of Westerners that pervert democracy to serve their own needs at the expense of the Iranian people. 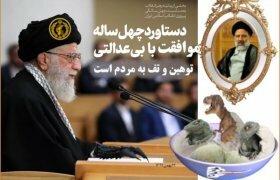 The Blog Posts highlights recent events (that are otherwise heavily censored) and the reasons why the country has gradually become a social, economic, environmental and political nightmare.Chronicles from Iran is written by an ordinary Iranian woman who is trying to expose how religious tyranny has brainwashed the population and enabled atrocities against those who speak against it. Please also visit the page detailing Our Beliefs, which explains how we can build a better Iran if we all open our eyes, question the current leadership, learn to be tolerant and work together.